At the moment, Hyundai is yet to finalize whether it will be the Ioniq EV sedan or the full electric version of SUV Kona, but if this does happen, Hyundai will be the first manufacturer to introduce an all-electric vehicle in India, even before Maruti Suzuki, which plans to launch its first EV by 2020. 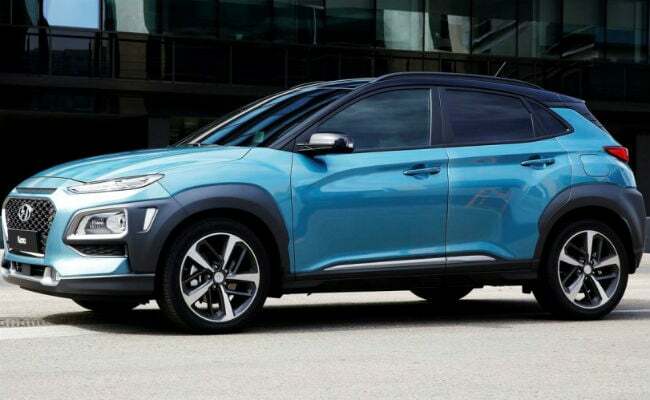 South Korean auto major Hyundai has revealed that the company will launch its first electric vehicle for the Indian market next year. The company plans to invest over ₹ 6,300 crore in India in the next three years on new products, development of powertrain and setting up of a new office building. At the moment, Hyundai is yet to finalize whether it will be the Ioniq EV sedan or the full electric version of SUV Kona, but if this does happen, Hyundai will be the first manufacturer to introduce an all-electric vehicle in India, even before Maruti Suzuki, which plans to launch its first EV by 2020. Y K Koo, Managing Director and CEO, Hyundai Motor India Ltd said, "Our first EV in India will be launched next year. At the moment we are yet to finalize whether it will be the Ioniq EV sedan or the full electric version of SUV Kona." Currently, Hyundai is doing a market study on customer preference which would help in deciding which model to launch. In the meantime, Koo said the company is awaiting clarity from the government in the form of an EV policy so that it can plan the road ahead keeping in view the 2030 target of 40 per cent of all personal vehicles being EVs. "We will import our first EV as CKD (completely knocked down) units and assemble at our Chennai plant. Later on, depending on market response, we will consider manufacturing here in India but that will take time," Koo said. Stressing on the need for government support for EVs, he said the current GST rate of 12 per cent must be reduced to 5 per cent in order help popularize the eco-friendly technology. With battery being an important component for success of EVs in India, Koo said HMIL is keeping the option open of partnering with local firms for sourcing of electric vehicle battery, besides considering other alternatives like importing from China or South Korea.